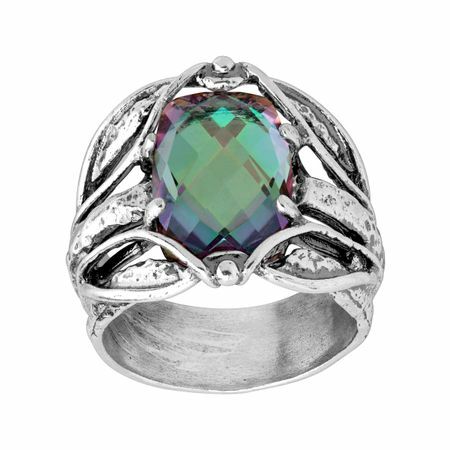 This other-worldly ring offers a dimensional mystic quartz in a setting of sterling silver for a bright contrast against its green-blue center. Ring face measures MEASUREMENTS. Piece comes with a “.925” sterling silver stamp as a symbol of guaranteed product quality. Ring face measures 3/4 inches in width. Piece comes with a “.925” sterling silver stamp as a symbol of guaranteed product quality.